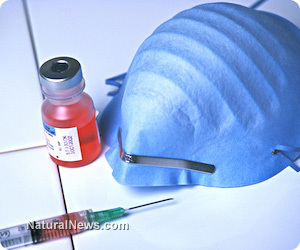 More than 80 percent of Americans believe that you can inject toxins into your body via vaccines and build immunity. More than 8 out of 10 Americans believe that you can cut cancer out of your cells if you get the right "top notch" surgeon, and that you can "radiate" cancer cells to death if you find the right "top notch" oncologist, but what are people really "doing to themselves" by believing that chemicals help anything at all? Since humans are organic beings, who are born organic and are meant to have natural food, what happens when they inject the most toxic, deadly substances on Earth into their muscle and tissue, in such a manner that bypasses digestion and lung filtration (as well as all rational thinking), right through the blood-brain barrier? Disease and disorder -- that's what happens. Now listen to a doctor speak who is blowing the whistle on the "vaccination indoctrination" from which America suffers at the hands of the wrong kinds of "doctors." Suzanne Humphries, MD, of the International Medical Council on Vaccination, has a current opinion on vaccinations, which "is that they have never been safe -- never has there been a safe vaccine, never will there be a safe vaccine, and it is not possible to have a safe vaccine." Dr. Humphries explains how the process of vaccination is fundamentally flawed, and how it actually defies the immune system and its natural processes. It "thwarts the immune system" into a balance that is unnatural and that "leaves it susceptible" to more problems, basically other infectious diseases, bacteria and viruses. Putting a disease matter into muscle tissue is not safe. This is a whole other line of thinking than we've seen or heard before. The body basically has no idea what to do with this cocktail of toxins, and the immune system is shocked so unnaturally that nothing good can come from the reaction, not in the short term or long term. Dr. Humphries explains how by using vaccines we are stimulating yet another abnormal response at the site of the injection. The antibody is just one small thing in the "cascade of immunity." Western Medicine is trying to conjure up "immunity" by calling into action some highly unpredictable antibody with a chemical concoction injected into muscle tissue. It's insanity. Maybe we're all too stupid to notice how "miraculous" this is, and how the people that who vaccinated are actually MORE susceptible to fall ill. This is why vaccines must be forced onto the public. This is the "herding" myth. You are all part of a herd of animals that are born weak and must be injected with chemical shockers in order to be normal. Why would such a "wonderful product" have to be forced upon the people? They're not forcing us to drink almond milk instead of dairy. They're not forcing us to eat organic food instead of processed. How is the aluminum injection helping again?